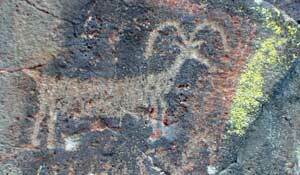 An example of a big horn sheep is stained by red paint & seems to be the result of someone taking a rubbing. If you ever find yourself in the high desert near Barstow with some serious time to kill, and the factory outlet mall just isn't your scene, Black Canyon may be a better option. 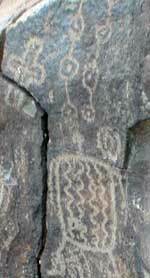 Tucked way up in an ancient lava canyon deep in the Mojave -- the indian art of Inscription Canyon. It's gonna take you a while to get here. Northwest of Rainbow Basin, about 10 miles, on rugged dirt roads. 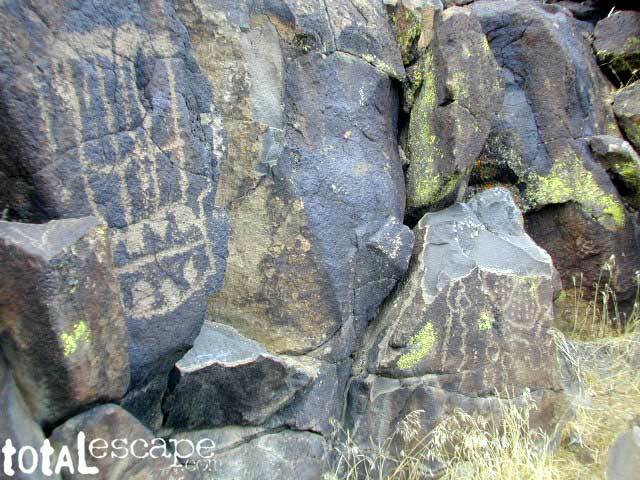 Black Canyon is easily accessible from the south via Hinkley Rd from National Trails Highway. 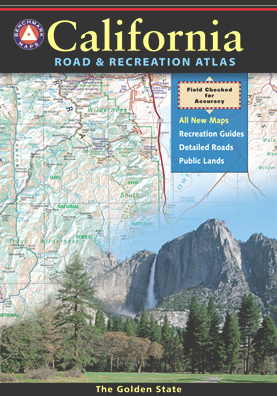 Mojave Desert Maps, topographic maps & GPS are highly advised. 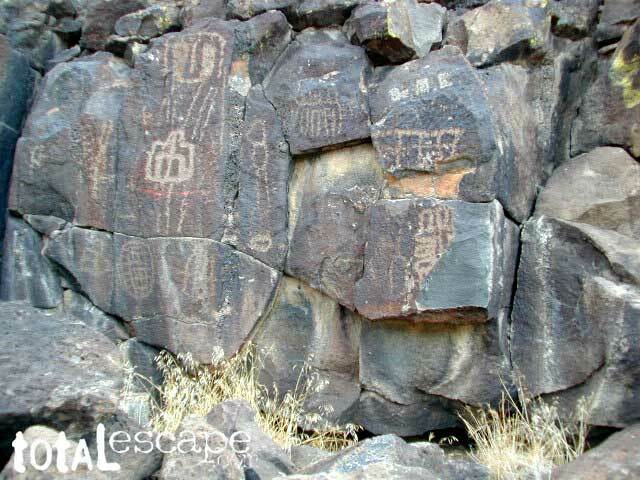 Nearly 10,000 petroglyphs & pictographs can be found in Black Canyon & the surrounding regions. Scattered through the area one can discover stone circles as well. 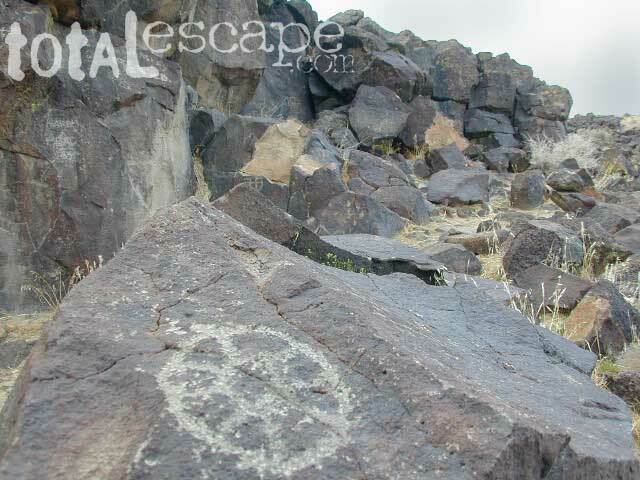 While motorized travel is prohibited in some canyons leading to wilderness areas, hikers can leave the main dirt road to discover mysteries of those who once roamed this ancient land. 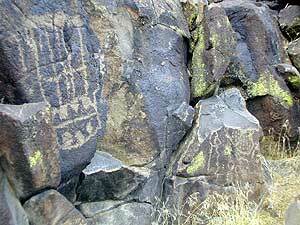 sad but true: Some of the ancient rock art suffers from man-made damage. 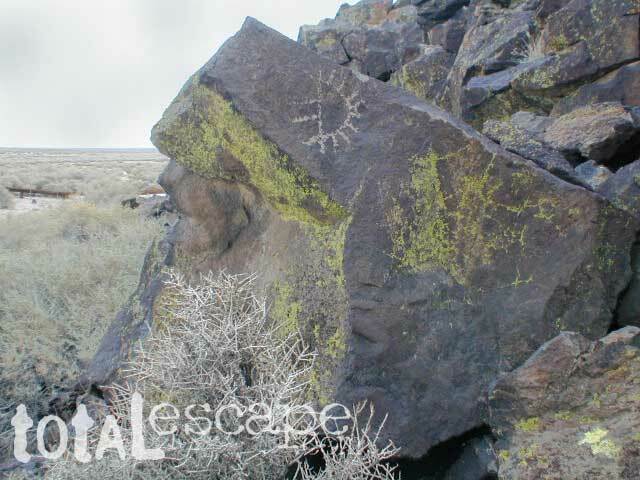 Many petroglyphs are marred by graffiti & bullet holes. Big portions have been destroyed by idiots attempting to chisel them off. If you plan to backpack and camp overnight in the designated Wilderness Area, contact the Mojave BLM ranger station for wilderness permits and BLM maps. 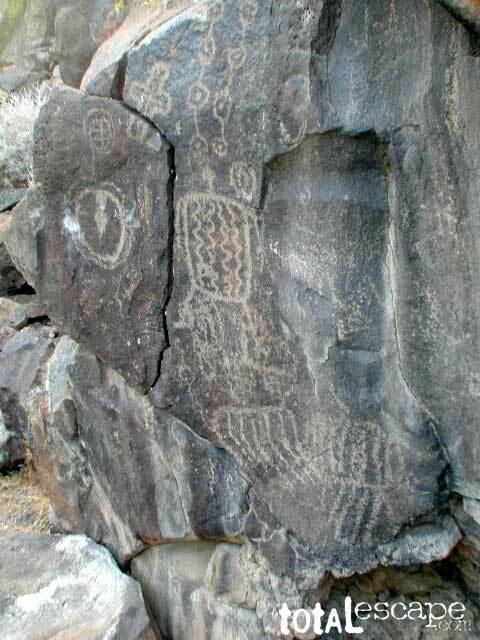 They can inform you about any possible restrictions, trails closures and advise on the best spots for viewing more native rock art in the Mojave. A back road map of the area is very helpful when exploring the Barstow desert land. Open dispersed camping is allowed on these dirt roads but OHV traffic is common, so choose a camnp site wisely. 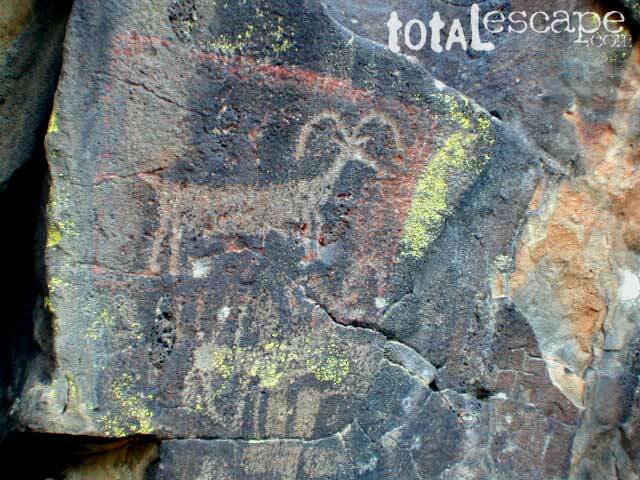 The only campground nearby with faciilties is Owl Canyon Campground located in Rainbow Basin.